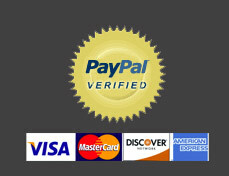 With our new Automated SEO online program has been designed for those SEO's that demand a deeper level of granularity. This level of detail is usually quite tedious and time consuming. Our Automated SEO platform automates the page and link building process. Imagine not having to worry about on-page optimization or link building! The world of SEO is about to change. 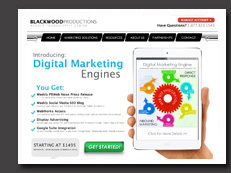 SEO innovator Blackwood Productions provides world-class search engine optimization services via a proprietary robot platform. It would be highly unlikely that any third party Search Engine Optimization Company doing SEO manually would be able to even come close to the focused activity that our Web Works SEO Platform system provides. The accuracy and consistency of GetSEOBot is what gives our customers a clear SEO advantage over the competition. GetSEObot offers an advanced technology for effective website optimization. It is an automated SEO platform specifically designed for SEO professionals to make the time consuming task of search engine marketing easier and faster without compromising best SEO practices. For a top ranking online business to maintain web dominance, content, links, and keywords should be properly optimized. Our SEO platform automates both the internal linking and external linking processes and generates 100% optimized content pages. Currently, the system manages over 4,000,000 links for more than 30,000 client websites, many of which have been with us for over 9 years. Your company's SEO campaign will benefit greatly from the unique design of GetSEObot: blending human skills with machine activities. It is the machine's task to handle redundant, non-subjective work while the human part applies experience-based skills that are necessary to execute an effective internet marketing campaign. Automated services targeted at specific SEO tasks (tedious, time-consuming link-building and keyword-generating tasks) are excellent means to minimize SEO management costs, attract new clients, and increase overall productivity. << Display Your Page Rank! GetSEObot is not meant to replace SEO, it is a supplemental tool, however in most cases your website may not need anything but GetSEObot to rank well. It is one of the best automated tools that offer great benefits especially in terms of link building, maintaining rankings, and acquiring greater traffic share. Placed in the right hands, this initially free tool can and will do great things to help in your SEO efforts. With GetSEObot, you can seamlessly add focused and highly targeted content pages without touching or modifying the content of your existing site. The service even allows you to automatically establish reciprocal and inbound one-way links, while gaining links from PR3 and up pages, as well as links from sites that offer not only relevant anchor text but more importantly, relevant content. You can just imagine what effect automation will have on your Google placement! This automated approach is a definite game changer for the continuously growing industry. Technology-driven industries always find ways to automate redundant tasks in an effort to increase productivity, profitability, and get an edge in the competition. Companies should not be content with cheap SEO labor to sustain their client expectations sooner or later what small amount you pay for these services will prove to be impractical (and even more costly) as your competition embraces automation. GetSEObot is more than just another SEO analysis tool offering tips and tricks on fixing your client sites, or showing you how your sites rank against competitors. GetSEObot builds 100% optimized pages backed by tried, true, and legitimate internal linking strategies that includes theme based siloing, and access to more than 30,000 relevant small business websites—real, relevant C block sites and unique businesses, not just social medial or blog sites—to help you gain one-way and reciprocal links. Please check out our video to guide you through the workings of GetSEObot and help you decide to try this highly effective SEO productivity tool yourself.